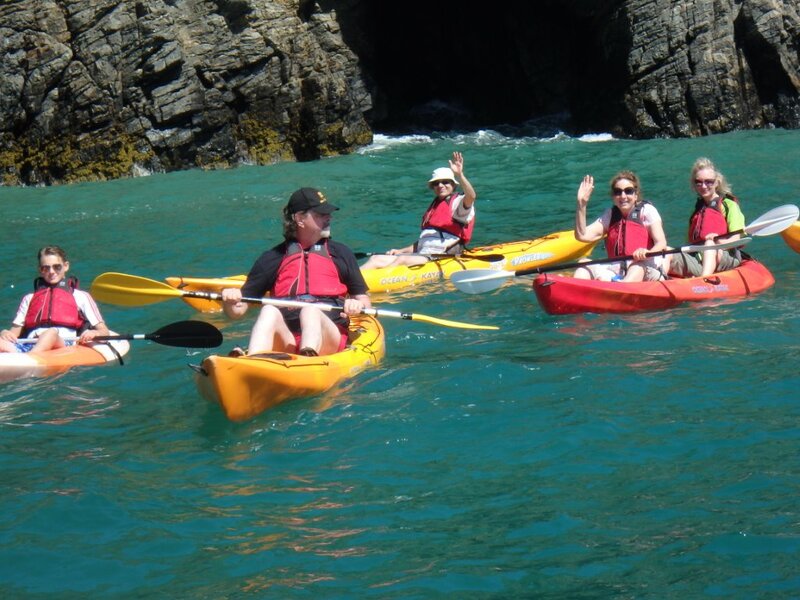 Visitor Penny Locke and family experienced a true Sark getaway last summer. Here she shares the highlights of her stay. Photos Jan Guy. “Cut off in time and place, Sark offers a trip almost back to the 1950s of rock pools, cliff walks, cream teas and bicycles to get around (there have never been cars on the island). 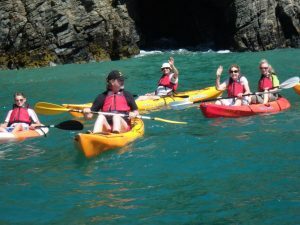 This is the kind of holiday I enjoyed on Sark throughout my childhood. It was a place my father depended on as an antidote to a stressful media career in London. By the time I became a teen however, the appeal of Sark waned. I wanted adventure and excitement. 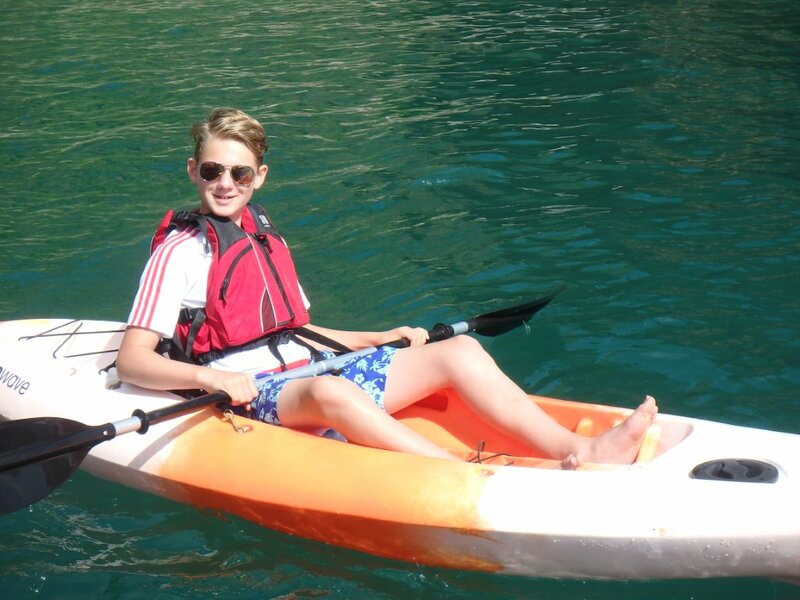 Now with easily bored teenage sons of my own, I was nervous about taking them back to Sark. However I need not have worried. 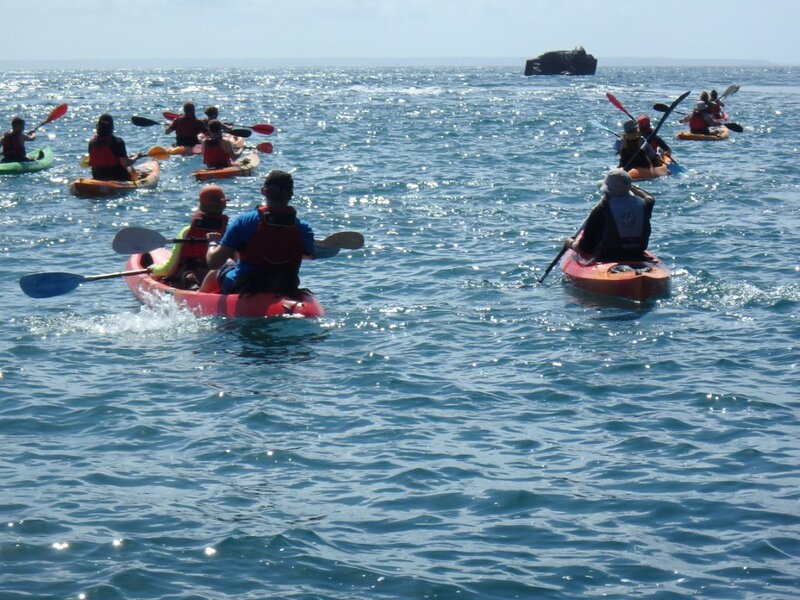 The relaxed, village atmosphere of Sark that I now cherish as an adult remains but Adventure Sark has added a shot of adrenalin to the island experience. 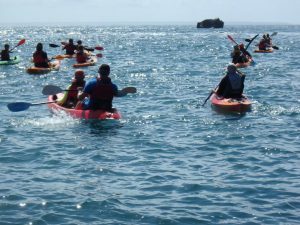 With this outdoor adventure company, we had brilliant days sea kayaking and coasteering around the island’s dramatic coastline. Our 14 year old son also enjoyed hours fishing off the harbour wall. We stayed at La Valette campsite which provides everything you need so you don’t have to bring camping gear over on the boat. You can choose between a pre-erected tent or a wooden pod which comes with a table and chairs and all the cooking equipment you need.